FREE IMAGES Most of the images in our hubs are our personal photography. 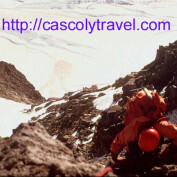 You can also freely use our images on your hubpages as long as you include a link to our website in the caption area You can find hundreds of images at http://cascoly-images.com include "Used with permission from http://cascoly-images.com" in the caption box. Or just contact us and we'll help you set it up.